New Jersey bill prohibits the state from investing pension and annuity funds in companies that boycott Israel or Israeli businesses. New Jersey has become the latest American state to reject the anti-Israel Boycott, Divestment and Sanctions (BDS) movement, as the state’s Legislature on Monday passed legislation that prohibits the state from investing pension and annuity funds in companies that boycott Israel or Israeli businesses. The bipartisan bill passed the state's General Assembly by a vote of 69-3 with 2 abstentions. It unanimously passed the state Senate in May, according to JTA. Governor Chris Christie is expected to sign the bill into law. The state's $71 billion pension fund provides coverage for about 800,000 current and retired public employees. A state Treasury Department spokesman told the Philadelphia Inquirer that he was not aware of any companies that the pension fund is invested in that would violate the legislation. Israel and New Jersey annually trade more than $1.3 billion in goods, according to the legislation. 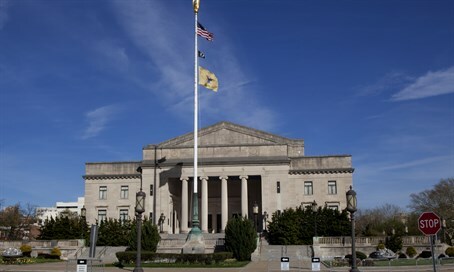 "It is important to the economic well-being of New Jersey that persons or entities conducting commercial trade and doing business in the State do not engage in boycotts of a legitimate and viable partner with whom New Jersey can enjoy open trade contracting," the legislation states. "Therefore, it is in the best interest of this State that a statutory prohibition be enacted to prohibit the investment of public employee retirement funds in companies boycotting Israel." The divestment from such funds must occur within two years of the passage of the legislation. At least 12 states have thus far passed anti-BDS legislation, including Arizona, Colorado, Florida, Georgia, Illinois, Indiana, Iowa, Rhode Island and South Carolina. New York Gov. Andrew Cuomo recently signed an executive order banning state agencies from investing in companies that support BDS. California appears to be next in line, with the California Senate Judiciary Committee scheduled to vote next week on the California Combating BDS Act of 2016, AB 2844. The bill would require any entity that proposes to enter into a contract with a state agency to certify, under penalty of perjury, that it has adopted no discriminatory policy against any sovereign nation or peoples recognized by the United States, including, but not limited to, Israel. The bill covers contracts in the amount of $100,000 or more.